Want to know the very best Disney cruise tips and secrets? Sailing on your first Disney cruise and wondering how to make the most of your vacation? Your first Disney cruise can be rather daunting. All those Disney cruise veterans seem to know lots of tips and secrets and you feel like you may be missing out. There is no need to feel left out! Read our Disney cruise tips and secrets guide. You will learn how to save money,time and have an even better time on board your Disney cruise! Disney cruise lines rarely gives out discounts, but there are ways to save money if you know how to look. Most Disney cruises sell out and you cannot rely on the last-minute discounts which other cruise lines offer. Usually the earlier that you book, the better deal that you get. Prices usually only go up. However, there are some exceptions. You may be able to snag a good rate for a last-minute guaranteed stateroom. If you have flexible dates, keep checking and you may get yourself a deal. If you are a Florida resident or are in the military Disney often has last-minute discounts for you. The discounts can be substantial. The disadvantage is that you have to be flexible with your dates as these are usually last-minute discounts. The discounts are limited and will only be available for certain types of stateroom. Sometimes upgrades are availablee on a Disney cruise. When you check in at the port ask if there are any upgrades available. They will usually be offered at a discount to the original price. However, don’t rely on an upgrade being available. They are rare and not guaranteed. Do you know what a Place Holder is? One of the biggest things that first time cruisers seem to miss is that you can book onboard a Disney cruise to get a substantial discount for your next cruise. This is called a Place Holder. You get 10% off, a reduced deposit and on board credit if you book another Disney cruise whilst you are still sailing on the ship. You can either decide which cruise and stateroom you want, or you can place a $250 deposit and book what is known as a Place Holder. You then have two years to decide which cruise you will book and you still get the discount. Missing out on booking again is one of the biggest things that first timers regret. 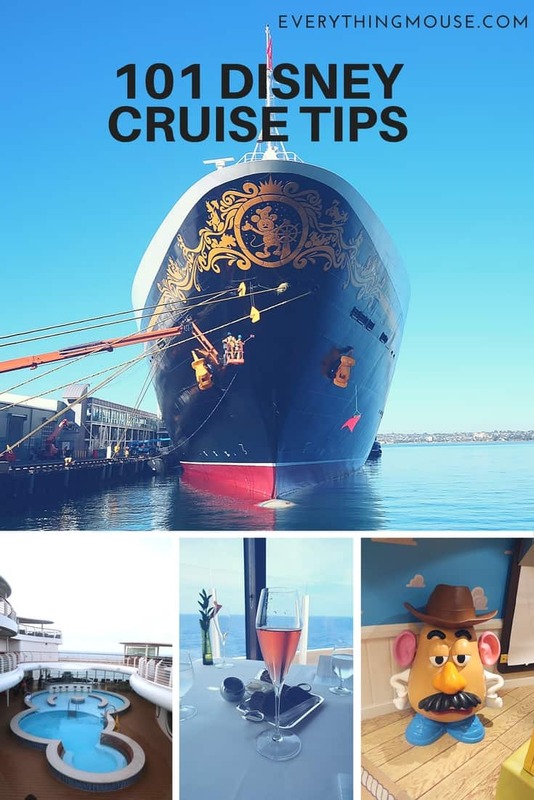 For a complete guide check out our How To Save Money on A Disney Cruise Guide. 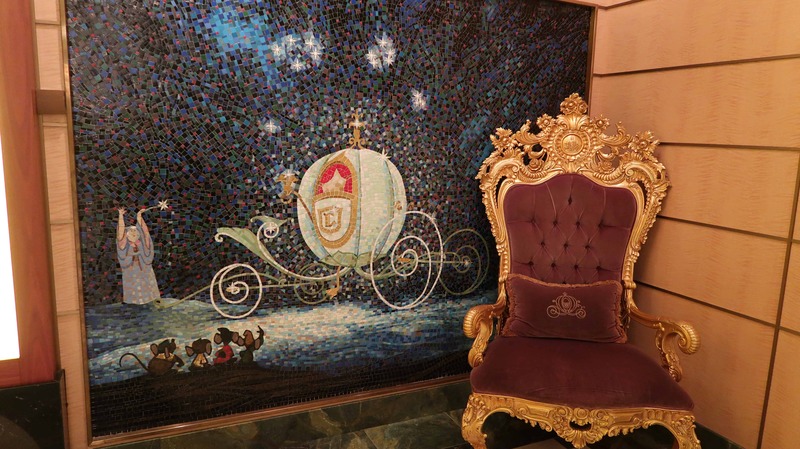 Disney cruise lines has some of the largest and best designed staterooms at sea. However, some staterooms are better than others. The design of the Dream and the Fantasy is the same, as is the Wonder and the Magic. 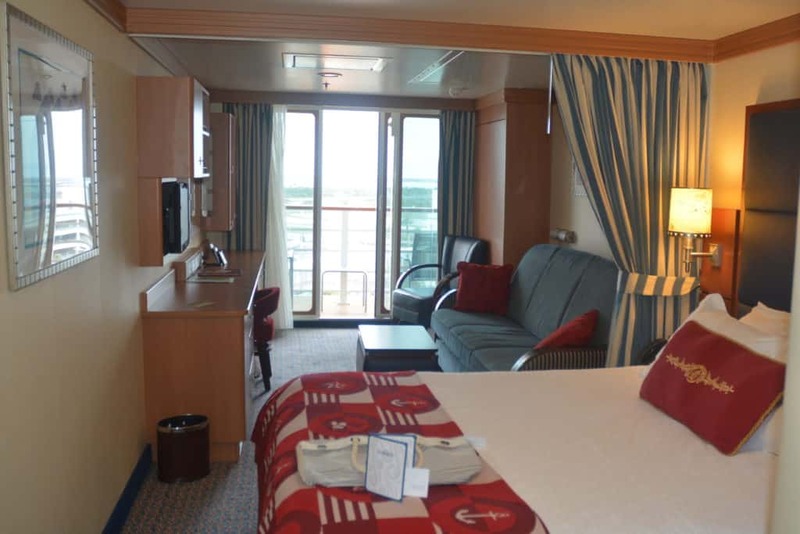 Disney Cruise Concierge staterooms are of course the best on the ship. However, there are some staterooms which are more desirable than others. 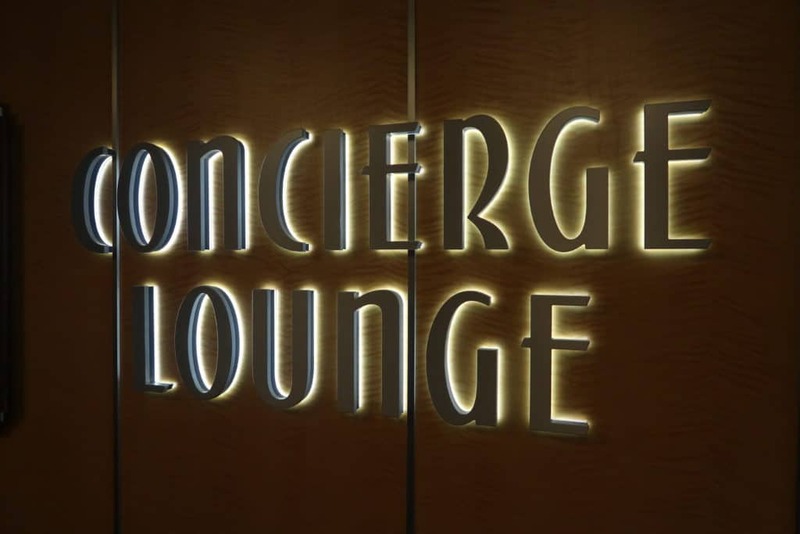 If you are sailing on the Magic or the Wonder and picking out a one bedroom stateroom you may want to think about choosing 8032, 8034, 8532, or 8534. The reason we like these is that in most of the one bedroom suites the pull down twin is in the master bedroom. However in these four staterooms it is in the living area. We think this makes it a lot more convenient. If you are sailing on the Disney Fantasy or Dream staterooms 12006, 12012, 12506, 12512, 11006, and 11002 have extra-large balconies. If you are visiting Castaway Cay we always suggest choosing a stateroom on the starboard side. 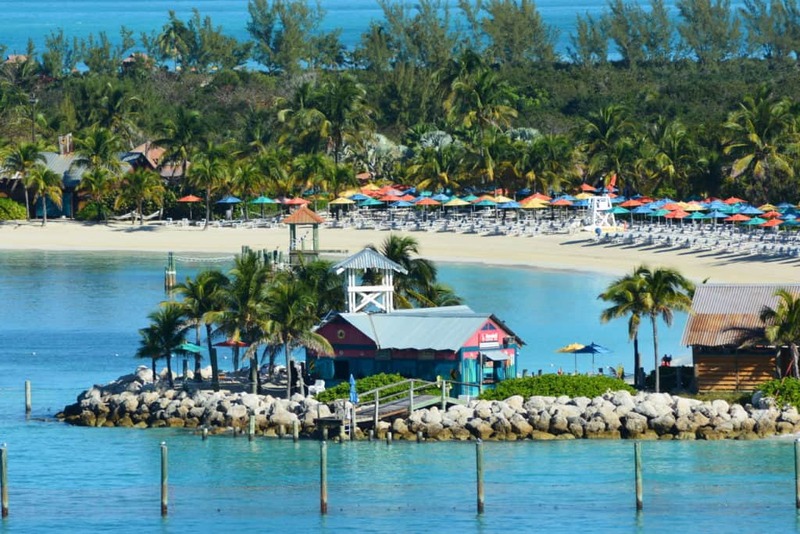 This gives you the best view of Disney’s private island as you arrive and are docked at Castaway Cay. Not all verandahs are the same. If you want to avoid the solid white wall balcony on the Disney Wonder or Magic then make sure that you do not pick a category 4E. These do tend to be the cheapest Deluxe Family Oceanview Stateroom with Verandah but most prefer the see through balcony screen. With the solid white wall you cannot see the ocean when you are sitting down on the balcony. Category 4E on the Disney Fantasy and Dream are also slightly unusual. They are smaller than the Deluxe Family Oceanview Stateroom with Verandah and only sleep 4. However, if you want a larger balcony then these are a very good pick. If you want a stateroom with a balcony which sleeps 4 then you will be looking at Category 5 staterooms. Again, if you want to avoid the solid white wall on the Wonder and Magic don’t book 7130 to 7138 and 7630 to 7638. 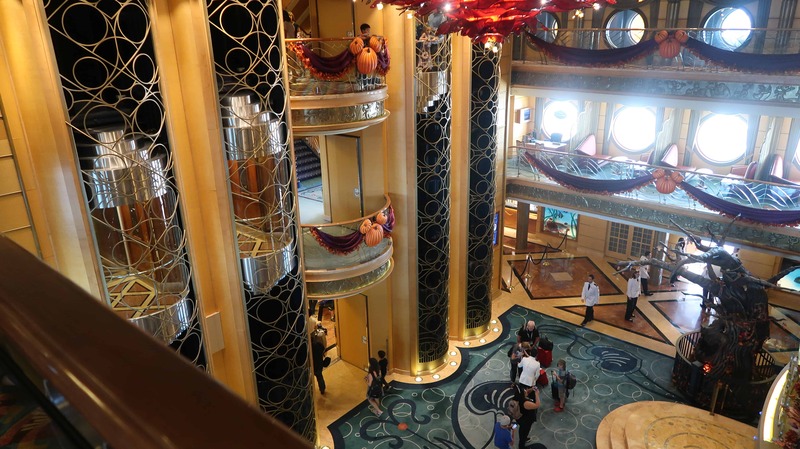 If you want a larger than average balcony on Disney Fantasy or Dream then go for a class 5E. These are all at the back of the ship. They go fast as they secret is out on these ones! Category 6 are balcony staterooms, but they are ones with some sort of obstruction or undersized verandah. We personally don’t recommend them unless there is a significant price difference between that and cateroy 5. Category 7 is an interested category on Disney Wonder and Magic. It is a Deluxe Oceanview Stateroom with Navigator’s Verandah. The verandah isn’t your idea of a conventional balcony at all as it is enclosed. These staterooms are usually priced lower than the other verandah staterooms so they are popular. There are four staterooms, 6134, 6634, 7120, and 7620 which are not enclosed completely so if these are available they can be a good bet. On the Dream and Fantasy the Category 7s are very different. They are not enclosed, they just have some kind of obstruction. Category 8 is only available on the Disney Fantasy and the Disney Dream. They are Deluxe Family Oceanview Staterooms which sleep 5. There is no equivalent on the Disney Wonder or Magic. The most sought after ones are the Category 8A as they are much more spacious than others in their class and have two huge portholes. These tend to go quickly so if you want one you have to book early. Deluxe Oceanview Staterooms are Category 9’s. On the Disney Wonder and Magic the lowest priced are usually on Deck 1. This is for a reason. Obviously this is the lowest deck with staterooms on the ship. Deck 1 is less convenient as you are unable to access all of the elevators. One the Fantasy and Dream we like the 9B as it is just a short walk to Enchanted Garden. 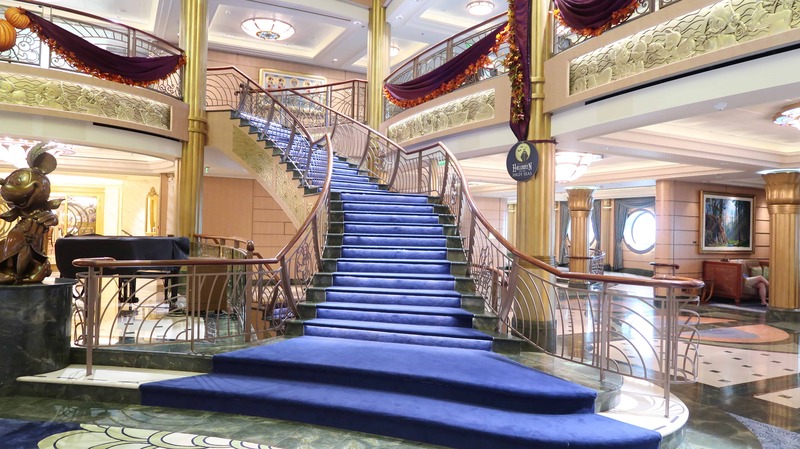 You can also easily walk up the stairs to Deck 3 with all the amenities close by. Staterooms 7006, 7504, 8006, and 8504 on the Dream and Fantasy are larger staterooms at the corner of the ship. The Deluxe Inside Stateroom are Category 10. On the Disney Fantasy and the Dream they are very popular as they are the lowest priced and have the virtual portholes. The most popular inside staterooms on the Disney Magic and Wonder are 5020, 5022, 5024, 5520, 5522, and 5524. The reason? 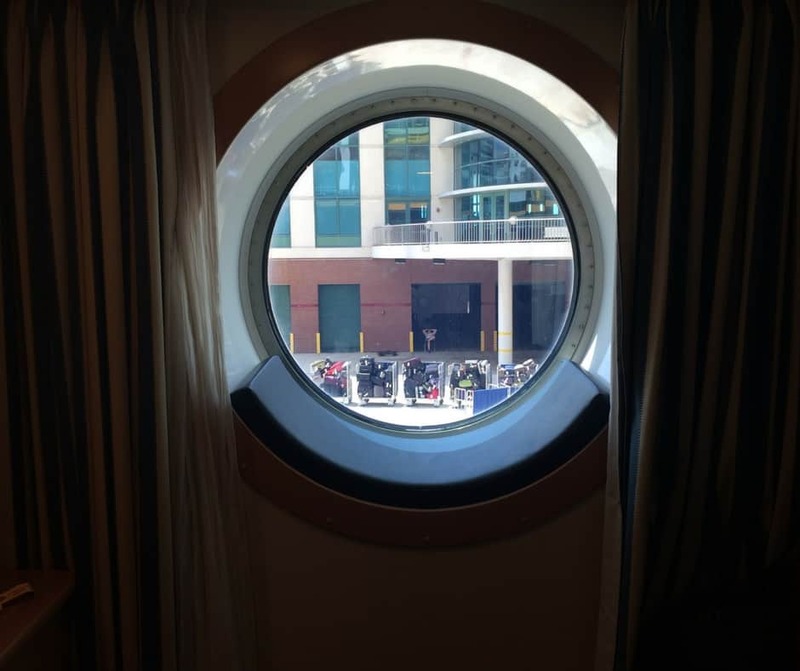 These are secret porthole staterooms. They have a porthole but because they are obstructed Disney classifies them as an inside. If you want these you better hurry. It is an open secret that these staterooms exist! Category 11 Staterooms on both ships are the smallest available. They do not have the split bath feature of most of the other staterooms. These are great for couples or families with just one child. 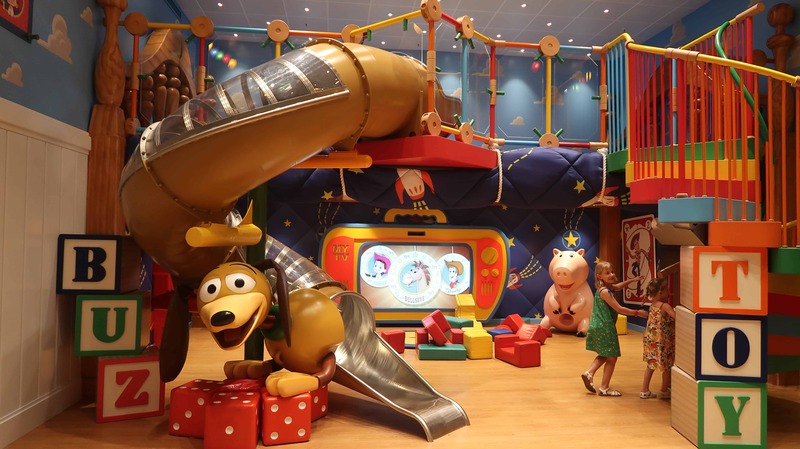 If you are a family of 5 Disney is one of the few cruise lines which offers staterooms which will accommodate all of you. However, just because you can fit everyone into one stateroom does not mean it is the best choice. It could be cheaper, and give you more space (and a second bathroom) to have two staterooms. 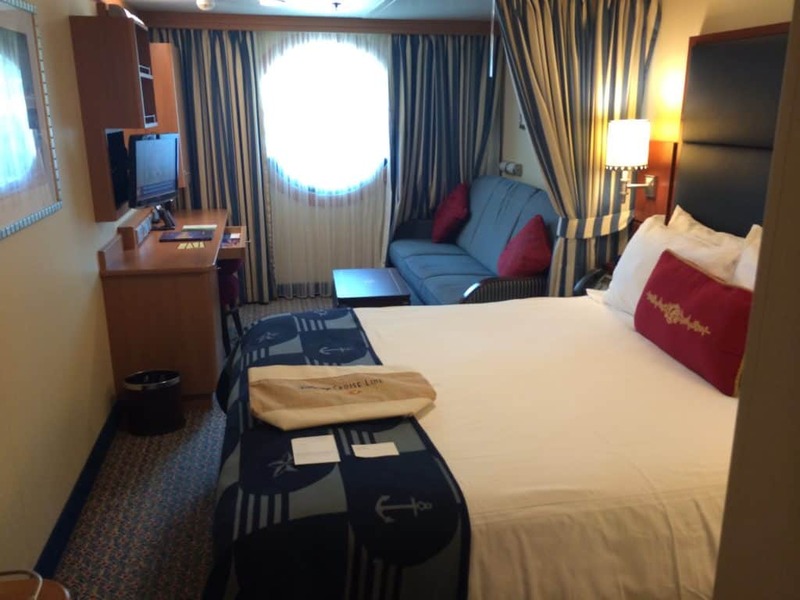 There are lots of connecting staterooms available on all of the Disney ships, particularly the Disney Dream and the Fantasy. 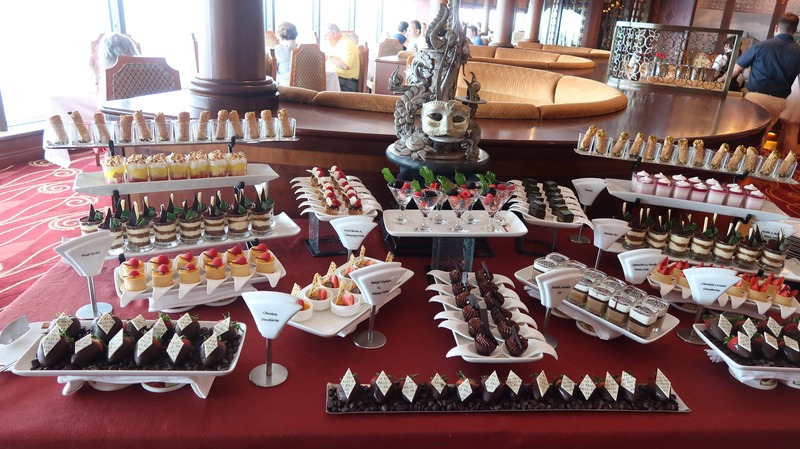 Disney cruise lines makes sure that you never go hungry. On each Disney cruise ship there are three main restaurants which are part of the innovative and unique rotational dining system. This means that you move restaurant each night, but your servers come with you. 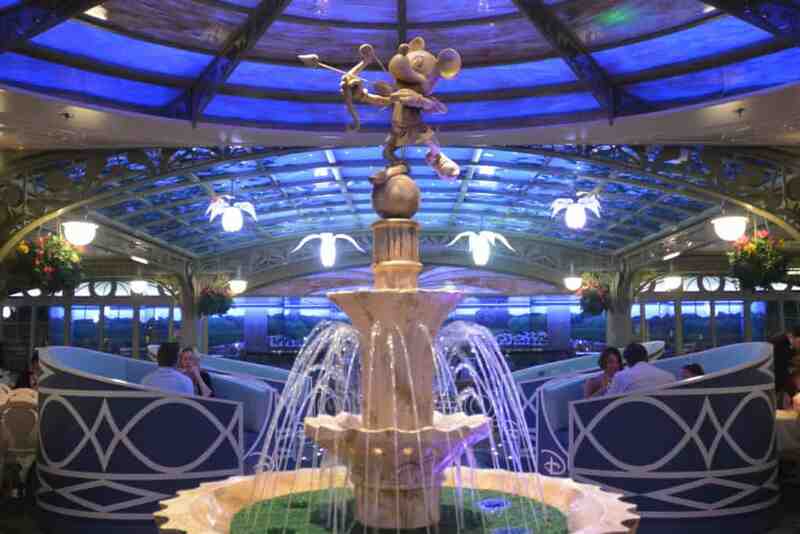 You dining experience begins as soon as you board the Disney ship. You will most likely be pointed in the direction of the buffet for lunch as soon as you board. This is a great idea, but what first timers tend not to know is that there is usually a main dining room open for lunch as well. This can be a great way to start your cruise. If you have any food allergies make sure that you enter this on your check in information online. If you forget to do this you can always talk to your servers and they will help you. Disney always wants their guests to be happy. So if you want to try more than one thing from the menu go ahead. They will bring you whatever you want. You can have as many entrees or deserts as you want – of course you have to work that off in the gym later! Disney cruises offers some very special adult only dining experiences. Palo is on all of the Disney ships. 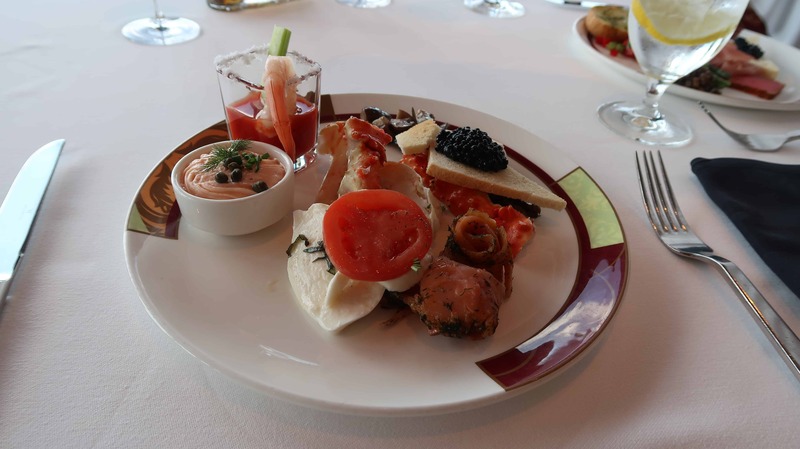 Remy, the ultimate in fine dining at sea is available on Disney Dream and Disney Fantasy. You can book one reservation for each online before you sail. However, if you book the first night at Palo or Remy you can also book a second night. You can always make additional reservations when you get on board the ship. These are subject to availability so make sure you book as soon as you can. Remember that most items on the Disney Cruise Room Service Menu and free of charge. You can even order a Mickey Ice Cream bar to be delivered to your stateroom! 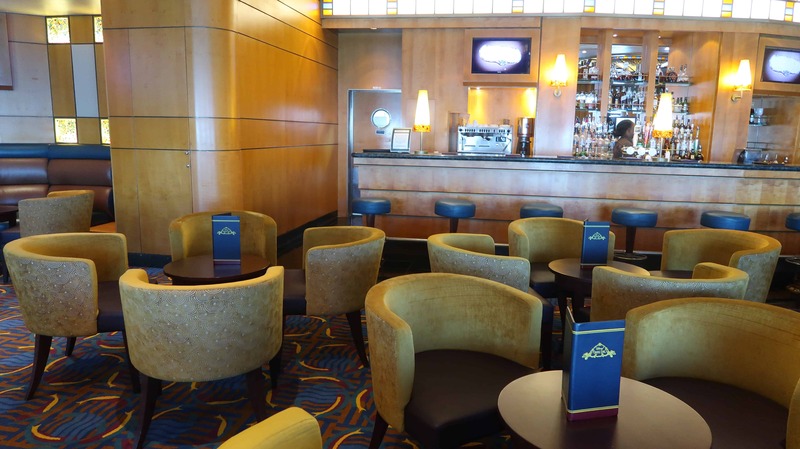 Unlike most other cruise lines Disney has free soda, coffee and tea available 24 hours a day. There is a drinks station on the pool deck of all of the Disney ships and you just help yourself. These drinks are also free at lunch and dinner in the restaurants and buffet. You can also bring wine onto a Disney cruise. For more details as to the amount of wine and beer you can bring on board a Disney cruise you can see our guide here. There are Disney cruise wine packages available which will save you money compared to buying bottles individually. If you don’t finish a bottle one night in the restaurant they will keep it for you until the next night. The infamous Dole Whip which used to only be available in the Disney parks is now available on all Disney cruise ships. There is an extra charge. You can buy a Dole Whip for $4.75 on board the Disney ships. You can even order one with Meyers Dark Rum or Shipwreck Spiced Vanilla Rum for $6.50. That is something you won’t get in Magic Kingdom! There is a Drink of the Day which is is priced at $5.46 for the alcoholic cocktails which includes 15% gratuity. There is always a non alcoholic option which is available for $4.89 including tax and gratuity. The Drink of the Day always comes in a souvenir plastic glass. 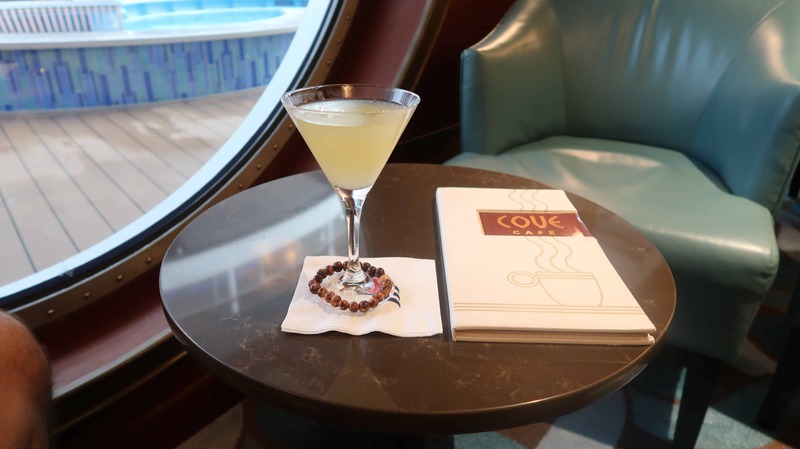 If you want to learn more about this we have written a guide to drinks on board a Disney cruise.